Dog minding the term focuses on caring for a pet dog or dogs on a temporary basis on behalf of the dog owner. There are many other ways of describing dog minding as an activity. The term covers work and play related to dog sitting, pet sitting, dog walking, puppy sitting or dog pet minding. All these terms relate to the main function of caring for one or more than one pet dog in the owner’s absence. The term dog minding evokes a wide range of care services for pets or domesticated dogs. 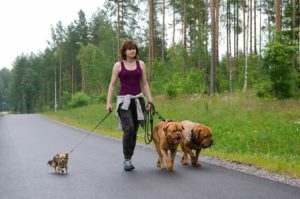 This includes daily dog walking, over night dog sitting, short term and long term dog minding options for the pets either in their own home, in the dog minder’s home or in a kennels. 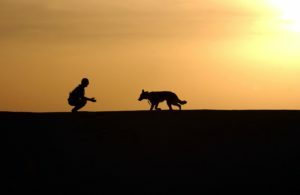 The dog minding might take place during the day while the owner is at work, or when the owner has to travel away from home on holiday or for work assignments. Accessing dog minding services is getting easier thanks to the the internet. There are many new access points introduced with the advent of the Sharing Economy, the Trust Economy and through paid service networks. HouseSitMatch is one such network in the sharing economy that offers access to checked live-in pet sitters who provide dog minding for free! 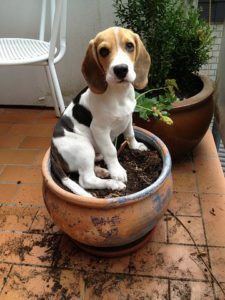 Young dogs often benefit from puppy sitting, and sometimes sick or infirm dogs need care in their own homes while the owners are out or away. 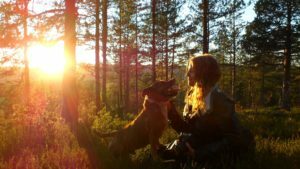 Who uses dog minding services? Pet owners of single or multiple pet dogs often use dog minders to care for their pets when they are not available themselves. Sometimes the owners need to travel away from home for work or holidays and need to find a regular arrangement for dog minding. There are paid and free options available online. 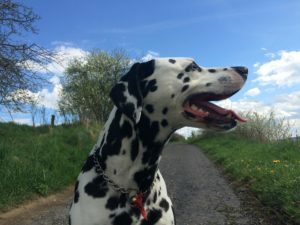 Traditional options like kennels or dog hotels, where the dog is taken to another premises dedicated to the function of caring for the dogs away from home, are generally available locally at a cost per night. Arrangements and prices for this form of dog minding vary by kennel company and the duration of the stay. Today there are many kennel alternatives including online house sitting networks that offer free pet sitting by checked live-in pet lovers who give up their time in exchange for free accommodation. Such online variations offer a spectrum of dog care possibilities in the dog’s own home or in the home of the dog minder. Why does the type of dog care matter so much? 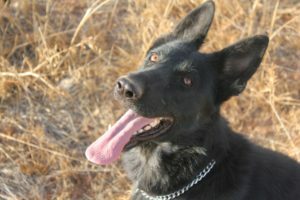 Dogs are intelligent animals, and some dogs in particular need stimulation and companionship. Being left alone for long periods without a companion or minder can leave them anxious, bored and can cause some bad behaviour. There are several factors to consider when planning pet care and especially the dog minding services you might need. Concerns about separation anxiety – some dogs become anxious when they lose sight of their owner for even short periods of time. This can become a greater concern if the dog begins to perform fearful behaviour such as barking relentlessly, pulling, biting and eating anything within their reach. Some large dogs in particular are known to suffer from gastric torsion which can be fatal according to David the Dogman, dog trainer for 50 years. If the owners are going away on holiday they might be using a dog sitter to mind the dogs and property. Keeping the dogs in the pet’s own home can be a good solution securing the pet in their familiar environment to minimise separation anxiety. Having a live-in sitter will also ensure a constant companion is present with the dog. House sitting and pet sitting networks like HouseSitMatch.com offer direct access to registered checked live-in sitters who offer dog minding in the pet’s own home for free. The sitters pay for their own travel and up keep while minding your dog and other pets. All new members register and pay a modest annual membership fee to be part of the community. The network is managed by a team of administrators who oversee the ID checking of all members, and the police checking of all sitters. Home and pet owners build a profile describing their pets and property and post an advert when they have set dates when dog or pet minding is needed at home. House and pet sitters are sent the adverts when they are published and then apply to be the designated sitter for the assignment. The owner chooses which sitter applications to pursue, and ultimately who to appoint. One of the more popular forms of dog minding is dog walking. Dog walkers are usually paid for their services. They usually walk a number of dogs at the same time. Sometimes the dogs are collected and walked in a new location in a pack, this can be great for social dogs who like the company of other pet dogs. If you are looking for checked live in dog minders to care for your pet dogs in their own home register on HouseSitMatch as a home owner and pet owner. Post a housesit advert for your travel dates and choose the best sitter to care for your pets at home. If you want to be a dog minder and exchange your pet and dog care skills for free accommodation around the world register as a house sitter on the network. We ID check you as part of your membership package and help you to build an awesome profile online.